In the 80s, I fell in love with Jaguars. The cars were sleek and stylish, but they had one big problem – they were unreliable. This problem continued to plague Jaguar for many years. Fortunately, the brand fixed the reliability problem and started building cars that were as sturdy as they were beautiful. 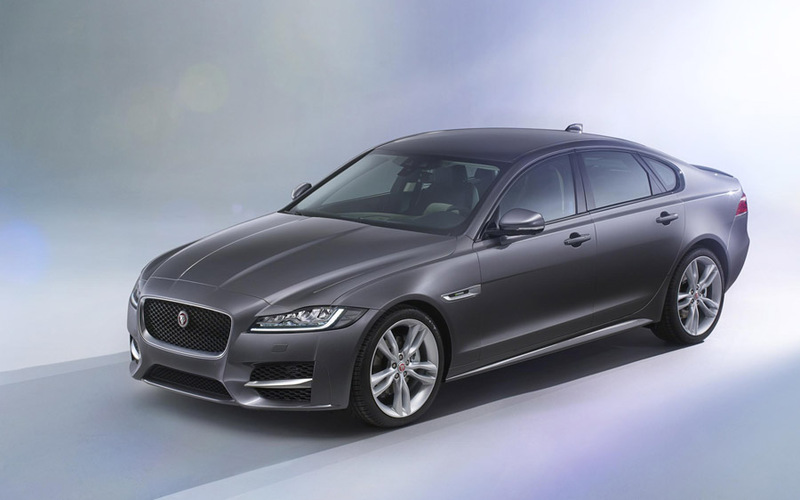 The latest iteration of this spectacular turnaround is the all-new Jaguar XF. The dynamic, coupé-like design is formed around Jaguar’s aluminum-intensive architecture and combines the outstanding proportions, elegant surfaces and perfect lines which define all Jaguar cars. The light, stiff body is also fundamental to the all-new XF’s superb vehicle dynamics. Double wishbone front suspension and Integral Link rear suspension – combined with near-50:50 weight distribution – deliver the ideal balance between ride and handling. The new XF’s four- and six-cylinder Euro 6 diesel and gas engines are engineered for exceptional response, smoothness and efficiency, and all benefit from stop-start systems and smart regenerative charging. Characterised by a rapid build-up of torque from low speeds to give effortless acceleration, the linear throttle response and refined soundtrack of each one makes the driving experience as intuitive as it is rewarding. 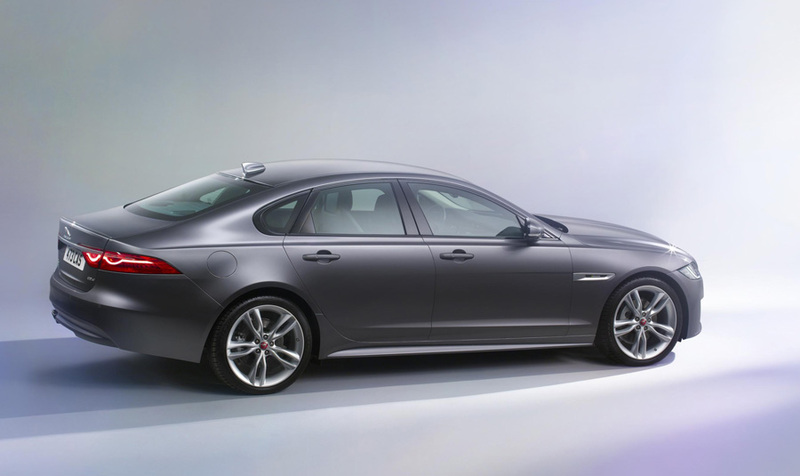 The XF accelerates from 0-60mph in just 5.8 seconds. The interior of the XF has always attracted praise, especially the start-up sequence bringing the car to life as the rotary gear selector rises up from the center console and the air vents rotate into position. Press the engine start button and watch the backlighting fade: the effect is calming – this is your personal space. Look around and you notice the height of the waistline and the centre console: this enhances the feeling of being sat in the seat rather than on it, creating a sense of safety, comfort and security. The strong horizontal theme of the instrument panel, the layering of it, and the materials used for each layer creates a rich, luxurious, hand-crafted feel. The longer wheelbase also means that occupants in the second row are sat further away from the rear wheels, improving refinement even further. This also created the opportunity to reduce seat height slightly, contributing to the increased headroom. Options such as the four-zone climate control system, heated seats and window blinds make the second row an even more comfortable place to be. Infotainment and connectivity in the XF is the most advanced Jaguar has ever offered. The all-new InControl Touch Pro system builds on the intuitive user interface of InControl Touch, and supports all the same features – including InControl Apps, InControl Remote and Wi-Fi hotspot – but offers a 10.2-inch touchscreen and Dual View technology which simultaneously allows the driver to see information such as navigation, while the front seat passenger watches TV or a DVD. To enrich the experience there’s also natural voice control, supporting commands such as ‘more like this’ for track selection. 10GB of the 60GB solid-state drive is dedicated to media storage, enabling Gracenote album art to be displayed. Audio systems include the exceptional 17-speaker, 825W Meridian digital surround sound system. The XF is also the first Jaguar to offer adaptive full-LED headlights. Featuring two banks of LEDs and reflectors – one for dipped beam, the other for main beam – they generate light with a color temperature closer to that of daylight than is achievable with Xenon lights, delivering better illumination. If the high-beam assist function is specified, the stereo camera will detect other vehicles in the distance, and the headlights will be dipped automatically as necessary to avoid dazzling other drivers. With it’s blend of design, luxury, technology and efficiency, the Jaguar XF is setting the standard for driving dynamics and refinement.